Last night I was side kick on Into The Mirror Black, next to my wonderful DJ Morgana. 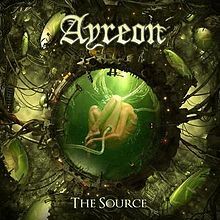 We had an interview with Arjen Lucassen and a showcase of the forthcoming Ayreon album The Source. I had a great time, we had a great time – and we’ll do this again. Does that mean my own show will stop? No, of course not. But there will be some changes in other areas. My reviews have become very infrequent and that is how I feel about reviewing right now: I’d rather enjoy the music and write she. I feel like it, without the pressure of ‘having to deliver’. So there will be a few more soon, for Background Magazine, but after that I’ll go back to doing it on my own. No pressure, and only do it when I feel like. And as for the 100 words? That will stay, because it’s a nice way of writing about the essence of things. And it allows people to get an idea of a album, and then go straight to the music. So, leaving planet Alpha and on to planet Y, for a new dawn. Not through the black hole, but Into The Mirror Black…. This entry was posted in Album review, Angelo's Rock Orphanage, Interviews, Music by Angelo Hulshout. Bookmark the permalink.